Making employees, students, visitors and campus environment safe. New Pelco Digital Video System was designed and installed and is in a perpetual state of upgrade. 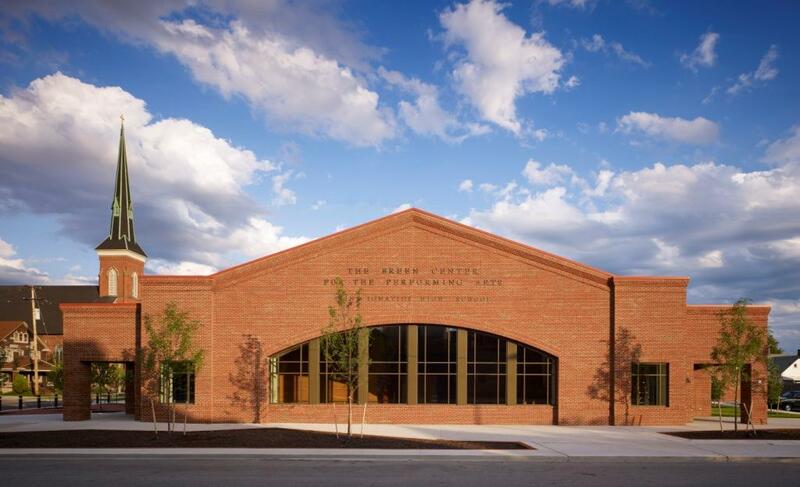 The Breen Center is a performing arts center located on the campus of Saint Ignatius High School. It houses a 540 seat auditorium that is not only used for school purposes but for community events as well. The building was designed to meet the U.S. Green Building Council's requirements for Silver Certification that included sustainable site development, water savings, energy efficiency, materials selection, and indoor environmental quality. Working with the Plant Services Director, a digital video system was designed utilizing Pelco Products as part of a campus-wide security solution incorporating all buildings on campus. A new fiber optic communication line was installed and an upgrade to CCTV was completed including a speaker strobe annunciation system that automatically warns of building disturbances and pinpoints intrusion. Today, the upgrades continues with the advancements in technology, making employees, students and visitors feel safe while at the same time, protecting the buildings and equipment on campus.